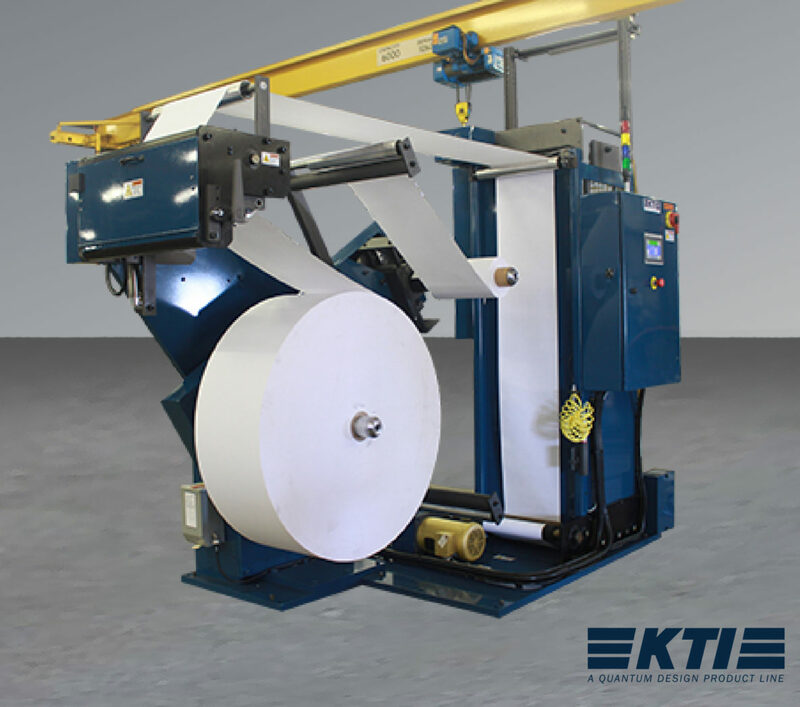 The ET series is an excellent fit for FL Smithe RA and W&D 102 envelope machines splicing envelopes with the lap splice made at zero speed, increasing production and reducing waste. The minimum tail splicehead reduces potential jamb ups and the compact design at 55” x 155” takes up less floor space in the production area. Excellent fit for FL Smithe RA and W&D 102 envelope machines. Minimum tail splicehead reduces potential jam ups.